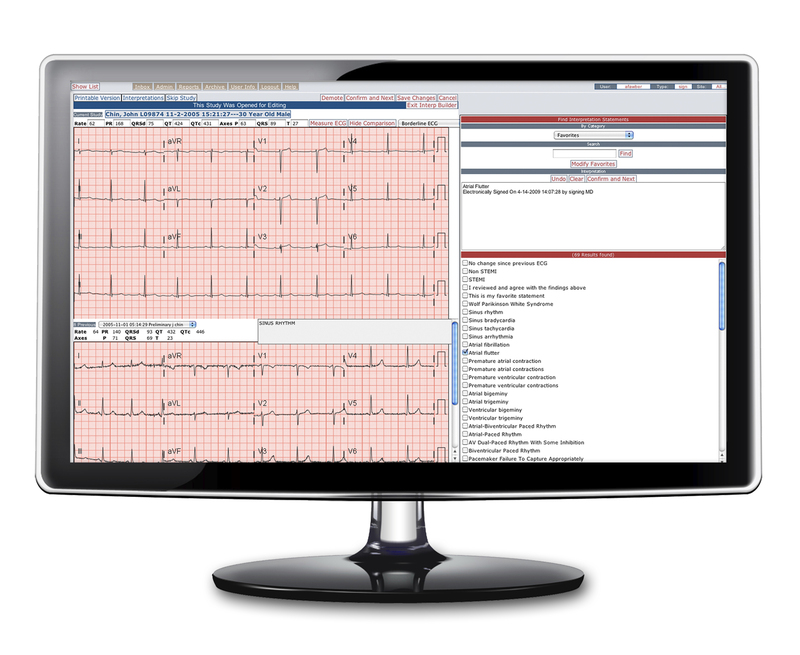 During implementation of Cardio Server with one of our new customers, a 220-bed hospital in Eastern Pennsylvania that performs >1,000 ECGs per month, some of the physicians were hesitant about changing from a dictation-based ECG reading workflow to a digital-based workflow with Cardio Server. They were accustomed to reading printed ECGs and dictating their interpretations; they stated this was a quick process for them and they liked it. The physicians felt that typing interpretations or clicking interpretive statements with a mouse would slow their workflow considerably, thus making Cardio Server challenging to use. A plan was formed to provide the physicians with Dragon NaturallySpeaking Medical software combined with Cardio Server to address their dictation concerns. Cardio Server works well with Dragon and provides Cardio Server users the ability to dictate their interpretations. During training, the physicians were instructed to use both tools—Cardio Server and Dragon. The feedback was very encouraging. One cardiologist stated, "I have had the opportunity to work with the Epiphany system and a voice recognition package [Dragon NaturallySpeaking Medical]. Although my experience is limited it appears that our greatest concern using this package, speed and accuracy, have been met. I have spoken to several of my partners and the feedback has been very positive. It is my belief that using your system will make us more efficient in reading ECGs. It is great when technology facilitates our job performance." At Epiphany, our first priority is to make sure our customers are confident and comfortable with our product. We understand that changing familiar processes can be difficult. This is why we provide extensive training with the ability to modify the user experience for their comfort, as in a case like this. Additionally, Epiphany follows up with its customers regularly after on-site training to make sure they continue to be happy with the product and its functionality.